Current smartphone developments help you stay entertained, connected with social media, emailing, games and assist with lot more productive tools. Whether it is browsing, listening songs, playing videos to chatting, sending MMS and much other multitasking computing work, it just does everything. Buying a branded smartphone means getting a guaranteed product with most accurately designed fitting and performance. To attract low budget customers, many companies in the market try to bring something which just works well or look alike branded ones. The way cheap smartphones are made is really horrible. To make them low-cost companies use cheap components. Such devices work as a copy to the original products but their output is way inferior. These devices apparently look or perform like OEMs but they are not recommended for prolong use. It can also be considered as a waste of good money. If you want to buy a good smartphone, cost around 10000 is just enough in an Indian market. Brands such as Xolo, Lava, Micromax, iBall etc. have recently come up with really decent smartphones again with great or competitive specs. These devices can be the real affordable option to the high-end phones. A decent quad-core processor with at least 1GB RAM and an approx 1024x720p display is just enough to get a great smartphone experience. Any higher is always appreciable. But looking at cost factor these specifications are enough. Latest MediaTek dual-core processors are a good option to choose. Operating systems such as Google Android is widely used by the majority of local brands to bring their smartphones in the market. Android is a key for their development. One of the great options to choose is recently available Canvas HD by Micromax. A great phone with all latest hardware specifications. It is a high-end phone with a decent price. You may also like, "Amazing Android Hack that Everyone Must Try"
Comparing price competition with iPhone 5, Nokia Lumia, Sony Xperia, Samsung Galaxy and other high end branded phones some of the Indian brands such as Xolo A1000, Micromax Canvas HD, iBall Andy 4.5Q are among the good choices. 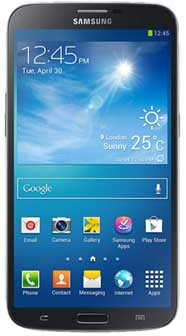 Samsung Galaxy Duos series is also recommended due to their reasonable price range. Most importantly with the Android Jelly Bean operating system it is very easy to use all Google services, Google Play Games and major functions of those high-end phones. It’s just a feel of a luxury brand, that’s it! Even though, low-cost phones have a lot of limitations, while in comparison with the original brands, some of them are really recommended for daily use and you can save your money. Smartphone cost competition is high and will continue. We expect much more low budget phones to arrive with great quality and durability. Also see, "Amazing Uses of Smartphone You Probably Don't Know"
Most important factor for any smartphone is its operating system. Decide first which one you are going for. iOS, Android, Windows Phone are currently most favored operating systems. Choose them wisely as per your need. They have their own likes and dislikes. Before you decide your device, make sure you are acquainted with all of them and used at least few times on somewhere. e.g. friends, family, malls, shops etc. Absolutely important feature while choosing your device. Among many hardware and display combinations available in the market, you have to be focused. If some more price is not of your concern then looking for bigger pixel count is always good. Also look for the technology they are using for making a display, e.g. current competition is between Apple’s Retina, Lumia’s ClearBlack, Samsung’s Super AMOLED, and Sony’s HD Triluminos with X Reality Features etc. You can search on Google for their advantages and comparison. But as per our guess all above them are top notch and must be preferred brands. There is a difference between large screen smartphones vs. high pixel resolution smartphones. Always remember more pixels mean better view. Features such as auto brightness adjust, the silent mode will certainly save much of your battery life again with better visibility. You may also like, "Why Smartphone backup is important?" Latest phones are coming with 3G, 4G, LTE and features such as NFC. LTE and HSPA+ work parallel. LTE coverage is easily available on international carriers. In most of the countries now a day’s HSPA+ is easily available. Make sure your current smartphone choice at least support 3G speeds as 2G seems rolling out or becoming outdated very soon due to fast developments. In current competition, 5Mp is least count to consider. If you want to take good shots a 5Mp or 8Mp Camera with Autofocus lens and LED Flash is a good choice. Higher is always best. If you are camera lover then look for 8Mp, Autofocus with LED flash or higher pixel camera are advised. Recent high-end phones are coming with Dual-LED, Xenon Flash to have sharper digital camera type shots. In our observation still smartphone cameras do not compete for the specially made digital camera such as Cybershots with Carl Zeiss Lens, Canon’s Powershots, Coolpix etc. If you are photography lover and do not want to put money into digital cameras then you must go for some Nokia, Sony, Samsung’s high-end Smartphones with great camera functions. E.g. iPhone’s 5S, Galaxy Note II or III, Nokia Lumia series etc. These smartphones are great while in comparison with Carl Zeiss lenses which are available in Sony’s and Canon’s digital cameras. If you are videos lover then see for an operating system which allow easy uploading services such as share online with Facebook, YouTube etc. Quad-Core processors are currently found in high-end phones. Their capabilities are versatile. Even Dual core smartphone works well but if you are really multitasking, app and game lover then latest quad-core processors will solve the purpose. For business and official daily use dual core low budget decent smartphone is also a great option. Web sites such as Gsmarena, ndtv gadgets and other comparison sites nicely put two or three phones aside each other with their specs online. You can easily see which one is best for the particular feature. Make sure you do some basic study while choosing your costlier phone. Look for a smartphone which satisfies your needs first and then their features such as a display, hardware configuration, operating system and fitting etc. Most importantly put your money into such a smartphone which will support your needs for a longer period. e.g. Business users, Multimedia lovers, Gaming fans, Photography experts etc. There are too many options currently available in the market, try to invest your money in smartphones by visiting online reviews and specification websites first.